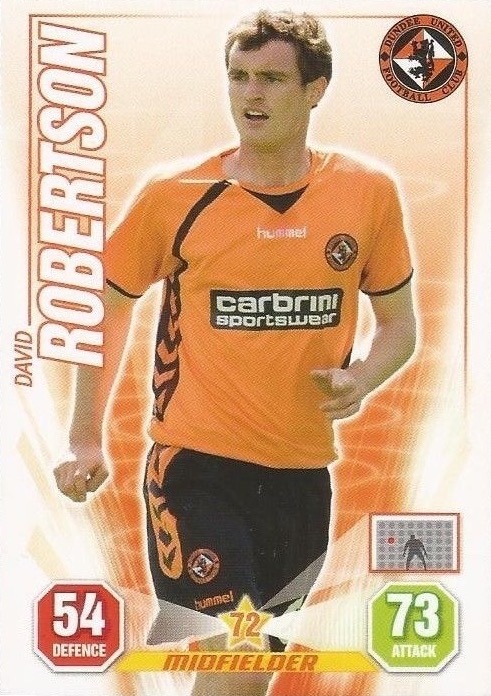 David was a product of the Dundee United youth system. 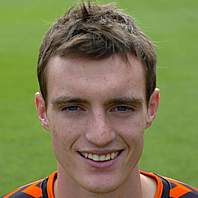 He was also a Scotland youth and Under-21 international and by 2006-07 he became a well established member of the first team squad, collecting a League Cup runners-up medal in 2008. In January 2009, David extended his contract and was a Scottish Cup winner with United in 2010. 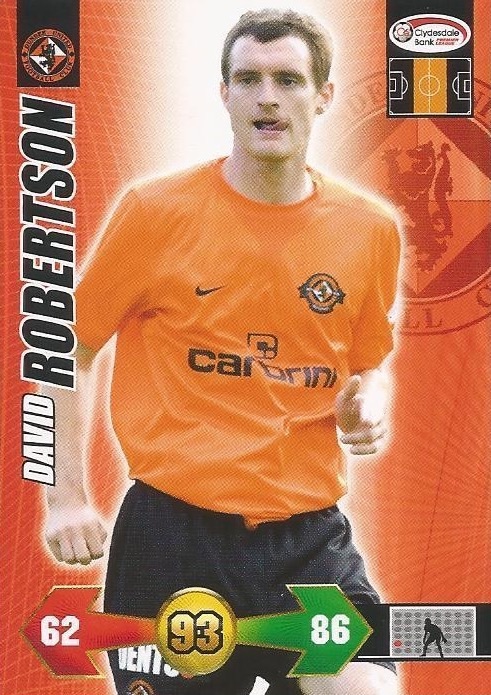 After one more season at Tannadice he left when his contract expired and joined St Johnstone. David was born on this date in Livingston. An early goal in each half by Sam Morrow and Harold Pinxten – both of them highly preventable from a defensive point of view – meant that United had given themselves a mountain which they never looked likely to climb. 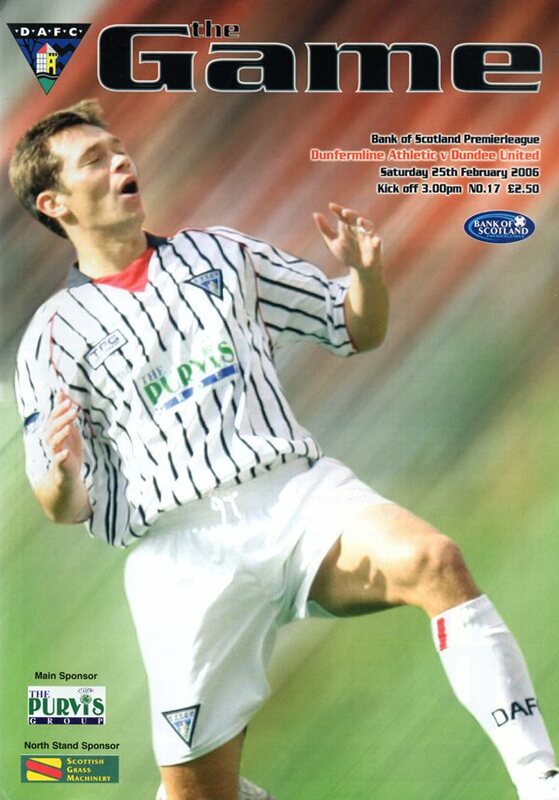 Although David Robertson’s effort had levelled the scores in the first half, an injury time penalty from Richard Brittain gave some gloss to the scoreline from a Livi point of view and a victory which could prove crucial at the end of the season. The Tangerines welcomed local SPL rivals St Johnstone to Tannadice in another crunch league meeting on a glorious afternoon in Dundee. Having embarked upon a quite unbelievable run of results during March, winning 5 out of 5 in the league, the hosts’ form of late had been more mixed, with a stunning last gasp victory at Ibrox sandwiched between two disappointing losses away to Motherwell. With Hearts 10 points clear of the Terrors in third prior to the game a win for United was surely a necessity for any hope of matching the previous season's league finish to remain alive. On the selection front, Peter Houston made three changes to the side which lost narrowly at Fir Park, with the result an overall more balanced looking starting side than we had been used to in recent months. 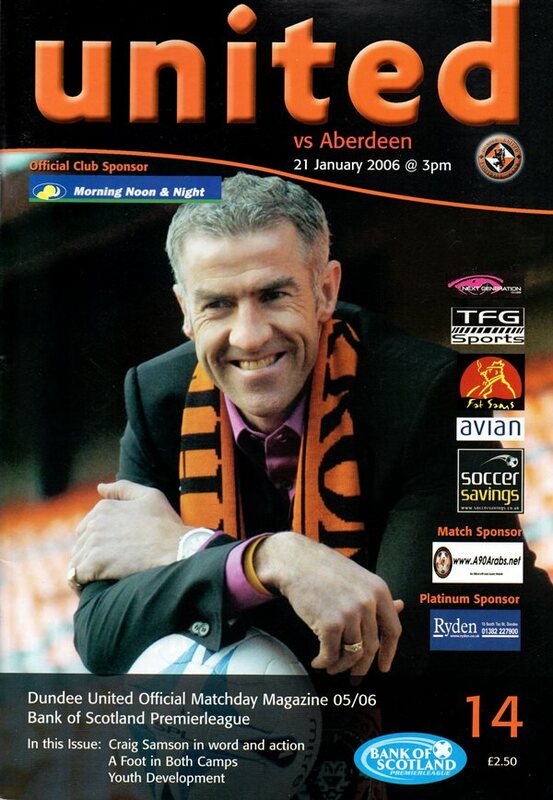 Keith Watson, who had been one of United’s best performers of late, missed out with a calf injury allowing Garry Kenneth to take his place in central defence alongside Scott Severin, with Sean Dillon moving back out to right back. Both Scott and David Robertson were left on the bench as Buaben and Swanson returned to a midfield which looked capable of giving the home side plenty of options in the wide areas. On form hit men Goodwillie and Russell looked to continue their superb return in front of goal against a Saints side which included ex United men Grainger, Anderson and Samuel in their starting line up.